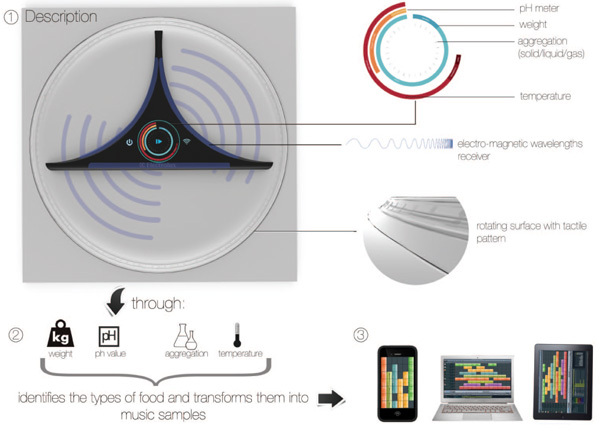 Imagine a future where food is inspired by music. 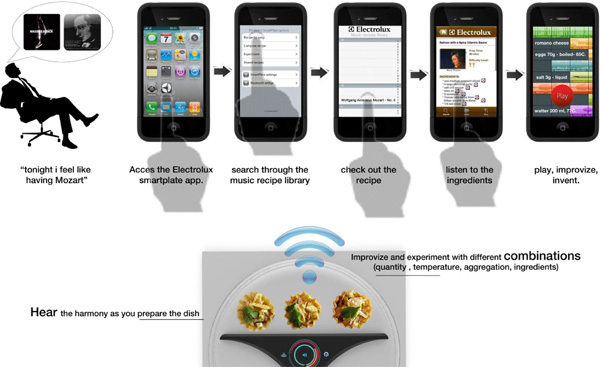 I am talking about the SmartPlate, a dish that understands food and transforms it into sound. 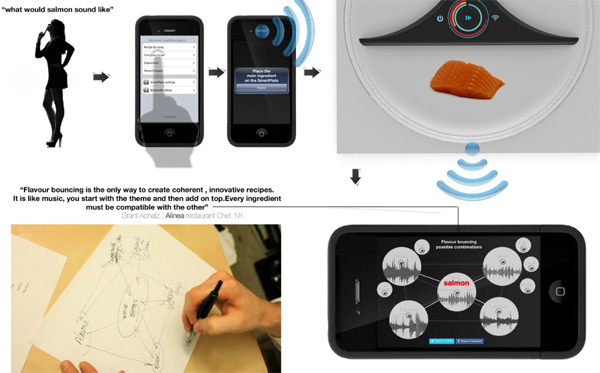 As described by Julian, it completes the circle of senses by which we understand what we eat. 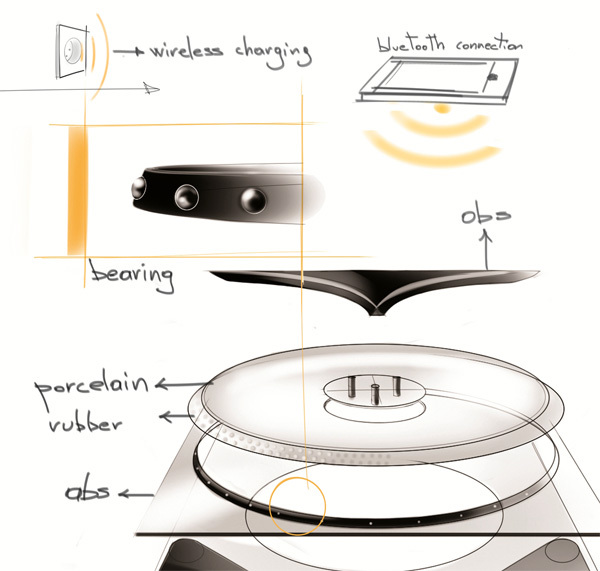 The plate hookes up wirelessly to your mobile device, and then by measuring the different aspects of your ingredients, it identifies food. 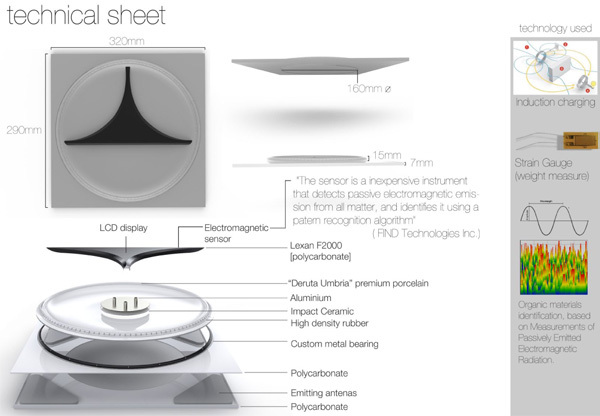 It then precisely attaches musical notes, harmonies and rhythm to each ingredient. 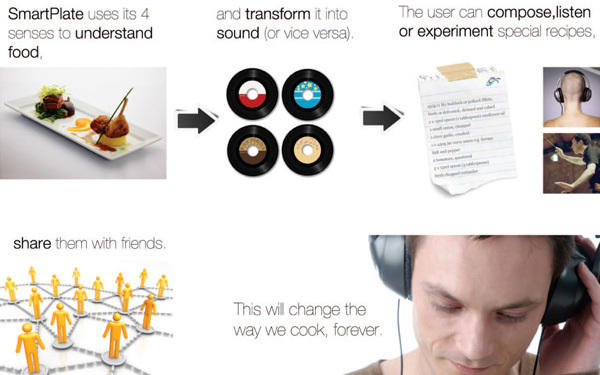 Essentially the user can listen, compose and interact with recipes of sound! 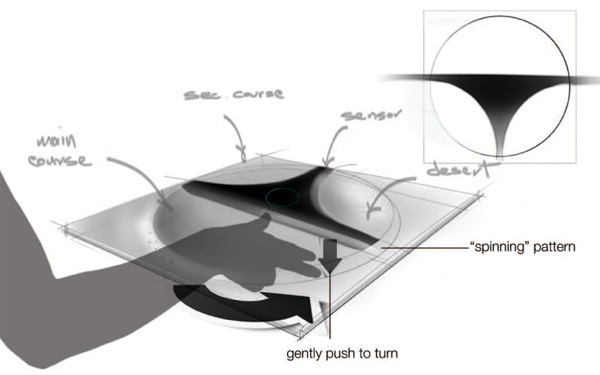 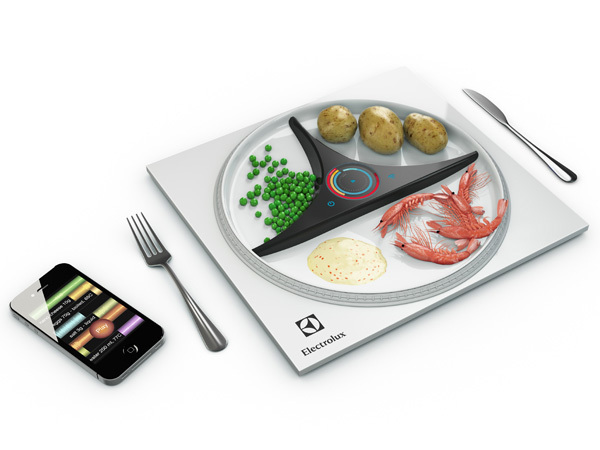 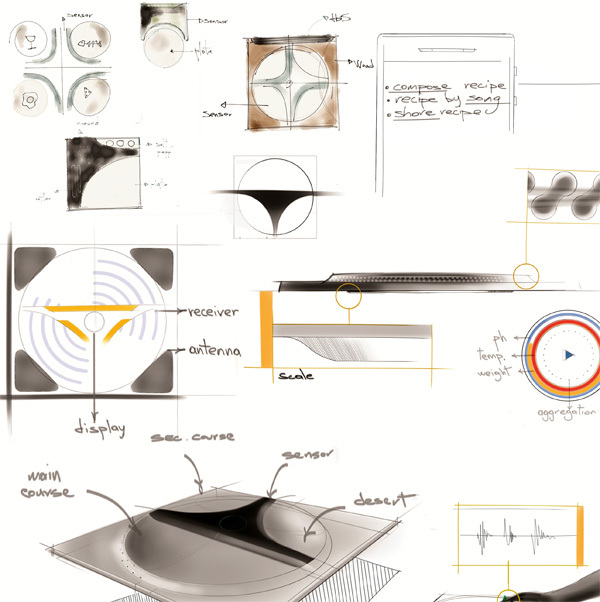 Electrolux SmartPlate is a 2012 Electrolux Design Lab Top Ten finalist entry.